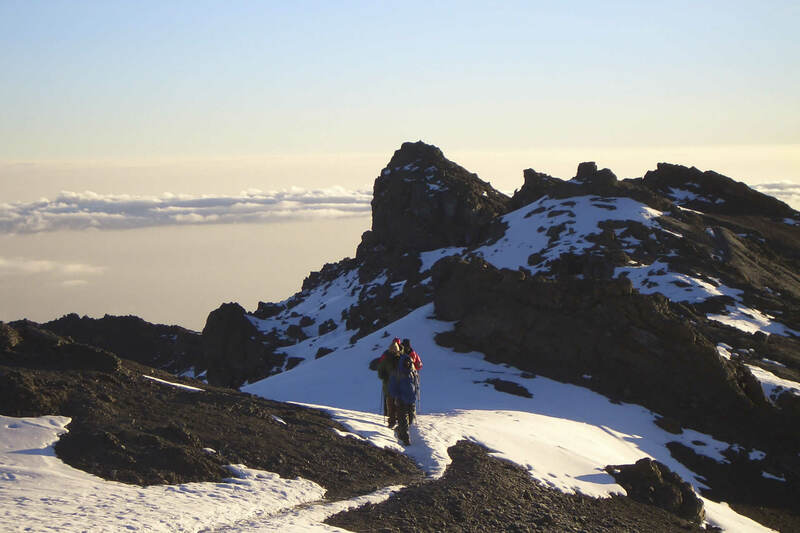 There are few thrills as great as that experienced when standing on the peak of Mount Kilimanjaro. 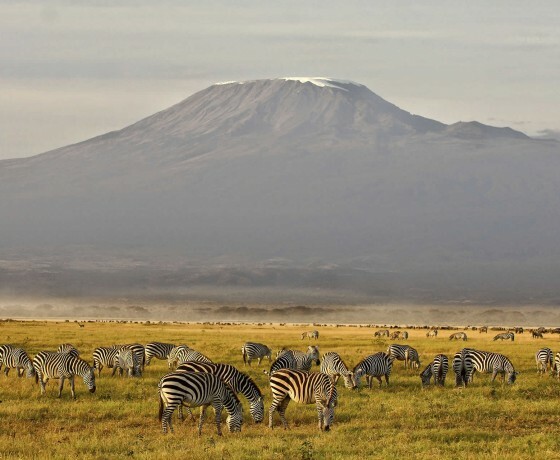 It’s the world’s tallest freestanding mountain and with the right planning and a bit of training is entirely accessible to anyone. 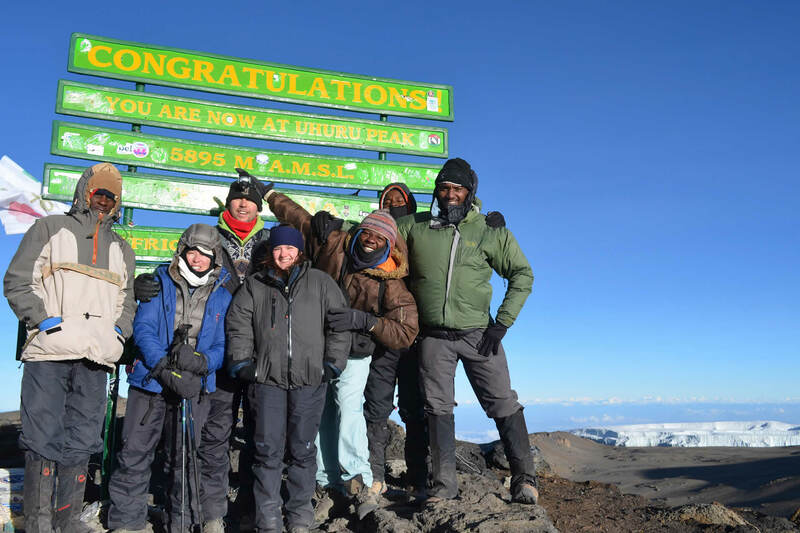 There are few other thrills as great as that experienced when standing on Africa’s highest point, the 5,895m Uhuru Peak of Mount Kilimanjaro. 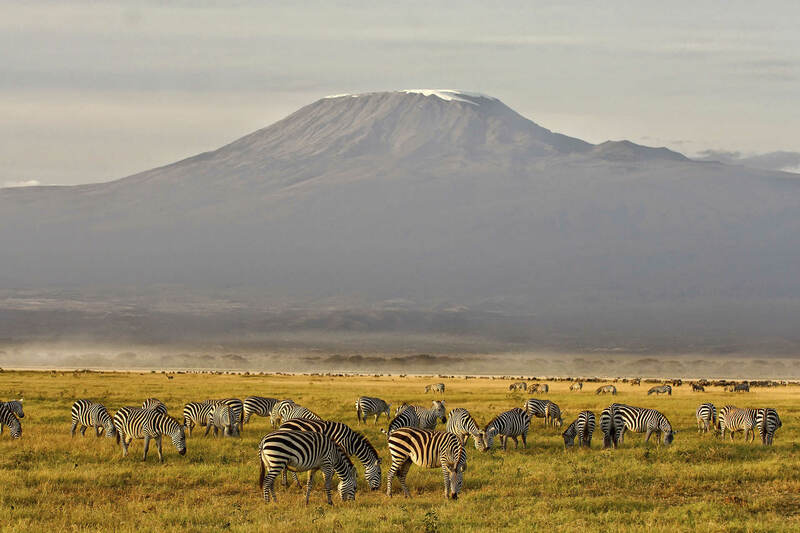 It’s the world’s tallest freestanding mountain and with the right planning and a bit of training it’s entirely accessible to anyone. There are a number of routes up the mountain, each offering something different in the way of scenery and terrain. 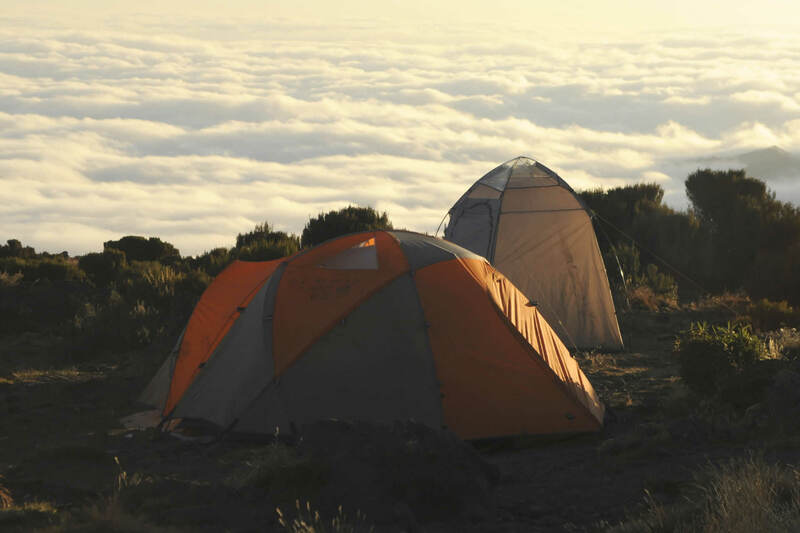 The Machame Route is a six night climb which offers an ideal compromise between the time on the mountain and the cost, with great scenery and a high success rate. 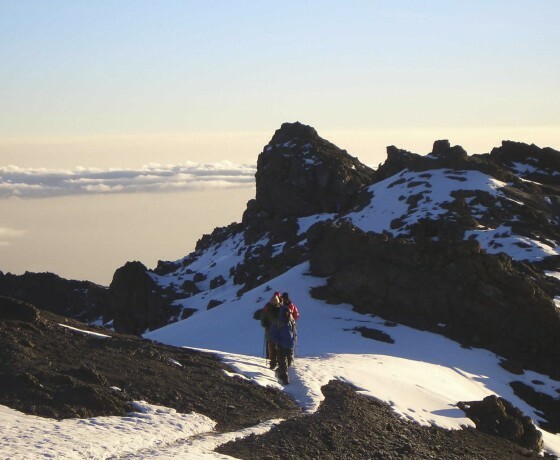 The final ascent is via Stella Point, the shorter of the routes to the Uhuru Peak which allows for a greater chance of success. 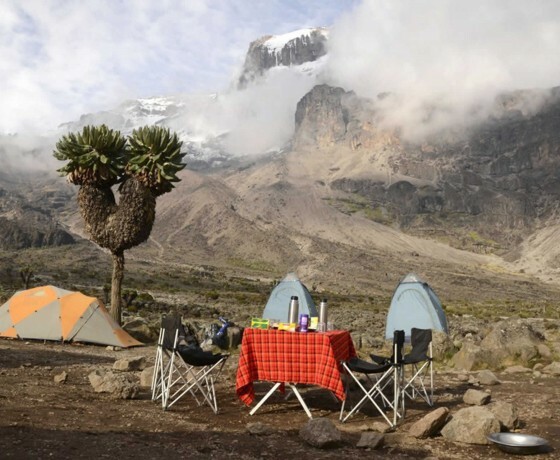 The eight night Lemosho Route is one of the longer, and most scenic, routes available and gives a very good chance of success as it allows a slow steady acclimatisation to the altitude. It’s a little-climbed route and a very peaceful and exclusive option. 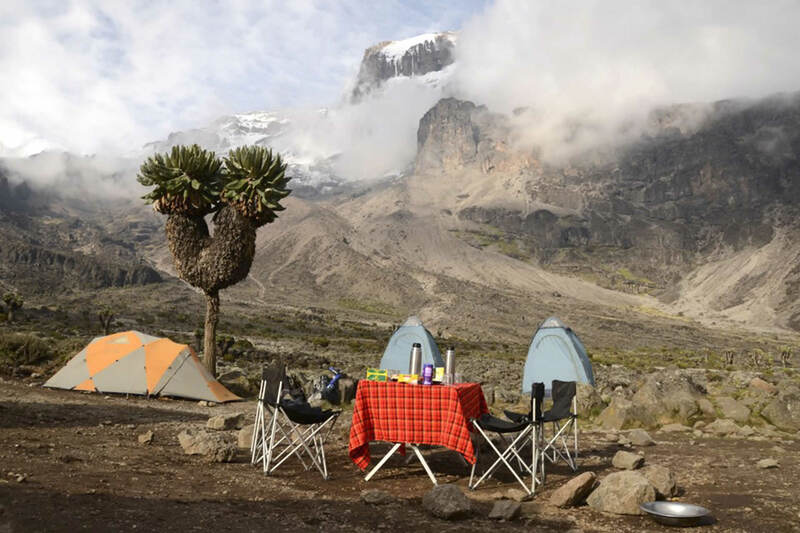 The Rongai Route is one of the most peaceful and least used routes of all. Quite steep at first, it offers tremendous scenery and variety. 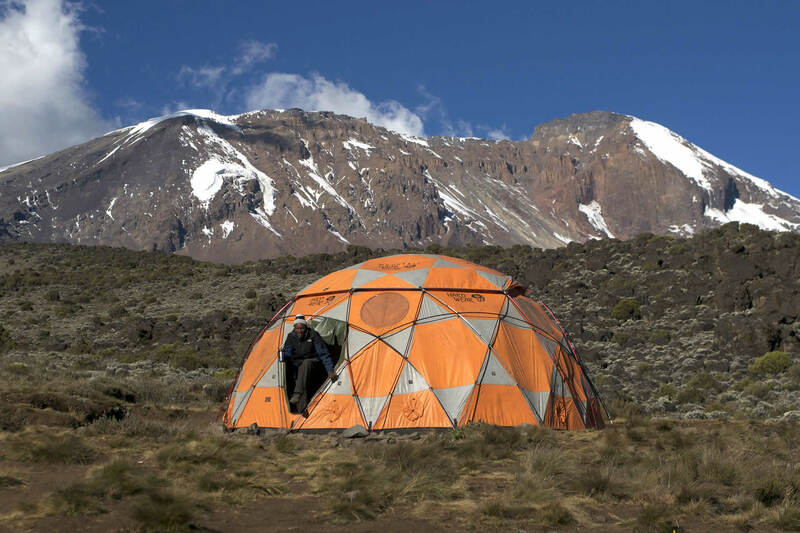 We offer three different climb styles, standard, luxury and VIP for Kilimanjaro Climbs which means we can ensure you are matched with the right level of equipment to suit you. 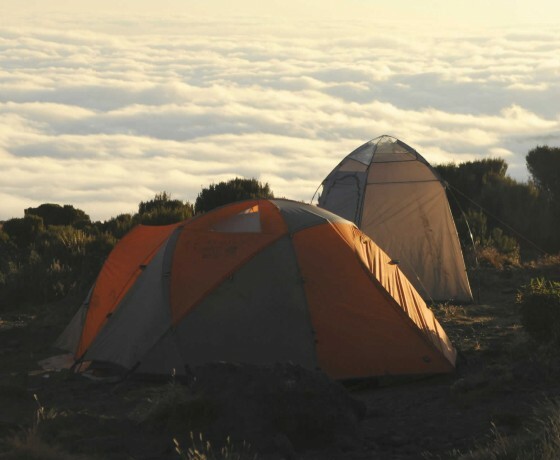 A VIP climb offers a proper bed, walk-in tents, a wash tent, and a loo tent. 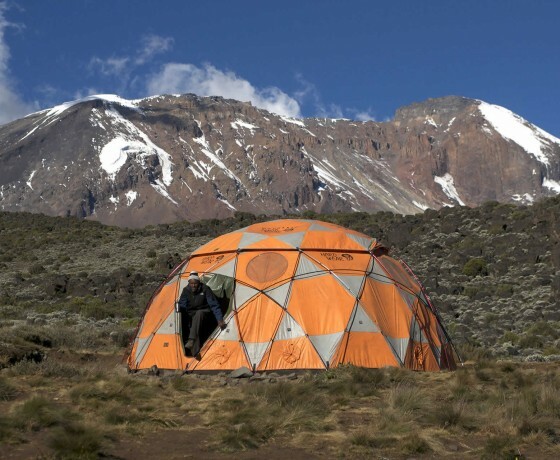 The luxury climb offers 3m x 3m dome tents, thick mattresses and sleeping bags, and a separate loo tent. It is a great compromise between cost and comfort. 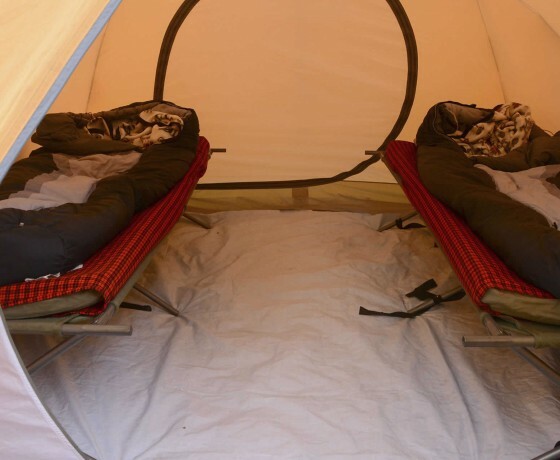 The standard climb offers a slightly smaller tent with foam pad and separate loo tent. We can offer the choice of joining a group of like-minded climbers or can arrange a private trip just for you. Safety on the mountain is our key concern. Our climbs use new, top of the range kit and equipment. We use only high quality guides who have constant training to keep knowledge up to date. 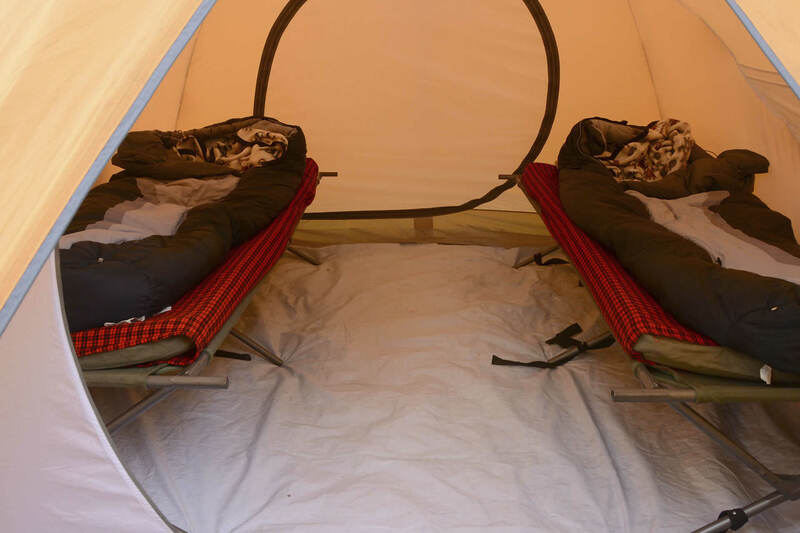 All our climbs are equipped with supplementary oxygen, pulse oximeters, and customised evacuation stretchers. All the guides are CPR trained. The guides we use have superb emergency training and the crew have the same access to emergency aid as the paying climbers. Pack your essential climb items (down jacket, walking boots etc) in your hand luggage as you won’t be able to climb if your hold luggage is lost or delayed. Take sweets; great for sustaining sugar levels on long climbing days and for sharing with your fellow climbers and crew. 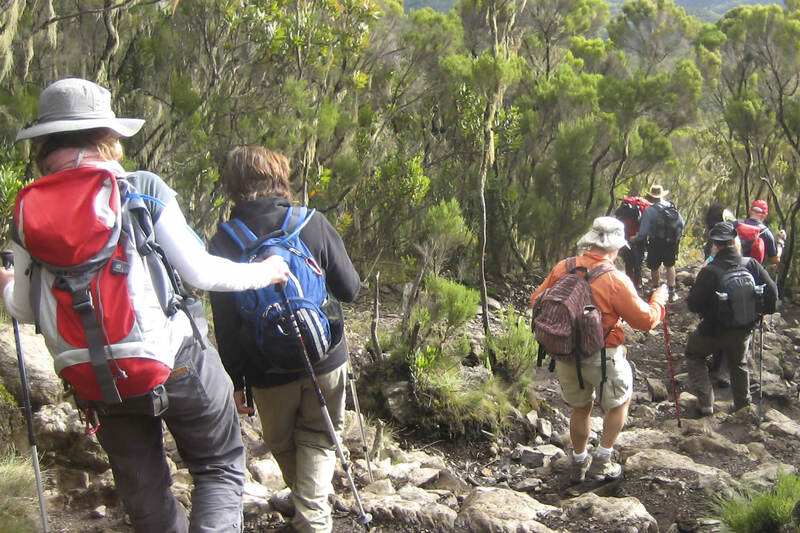 Walk as slowly as you can on the way up Kilimanjaro to minimize the effects of altitude, allow the body to adjust, and get the most out of the fascinating changing flora and fauna, and the stunning scenery. 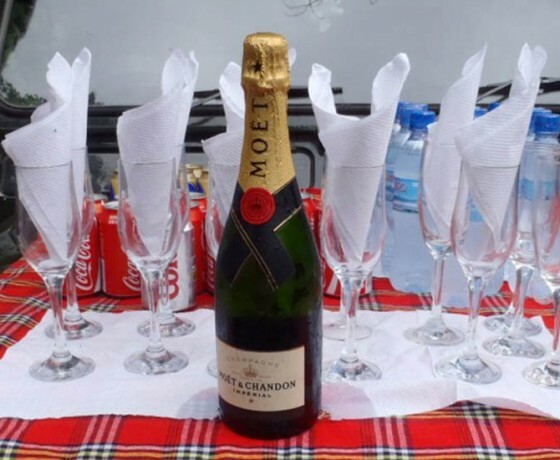 Drink plenty on Kilimanjaro, even when not thirsty, and have target levels that you must have in terms of number of litres to keep hydrated. An integrated water carrier system (Camelback or similar) is good for this. Eat plenty during the climb even when you are not hungry, to keep energy levels up to help with the cold and altitude. Take flavoured cordial or fruit squash to mix with the water while climbing to disguise the water purification tablet taste. 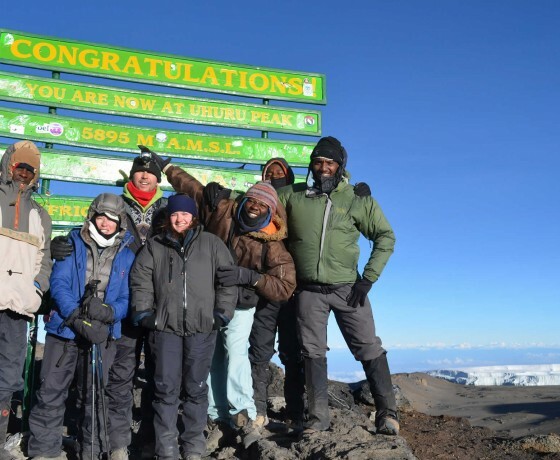 Take cash with you up Kilimanjaro for tipping your crew on the last day. 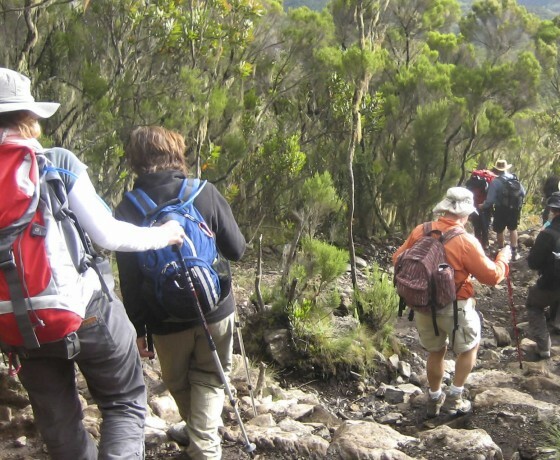 There are several routes up the mountain but two of our favourite climbs are the seven day Machame route and the very scenic eight day Lemosho route.